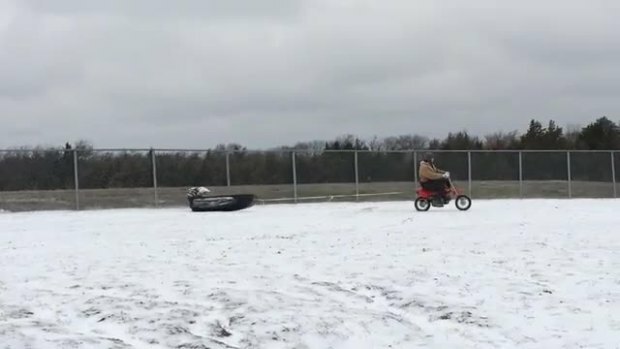 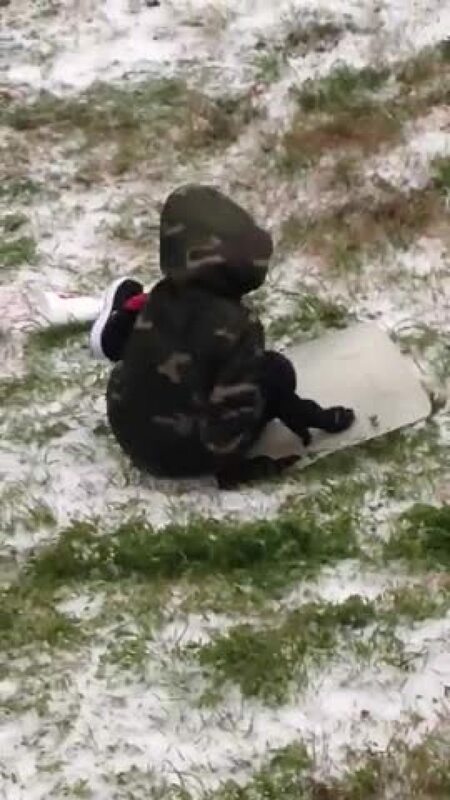 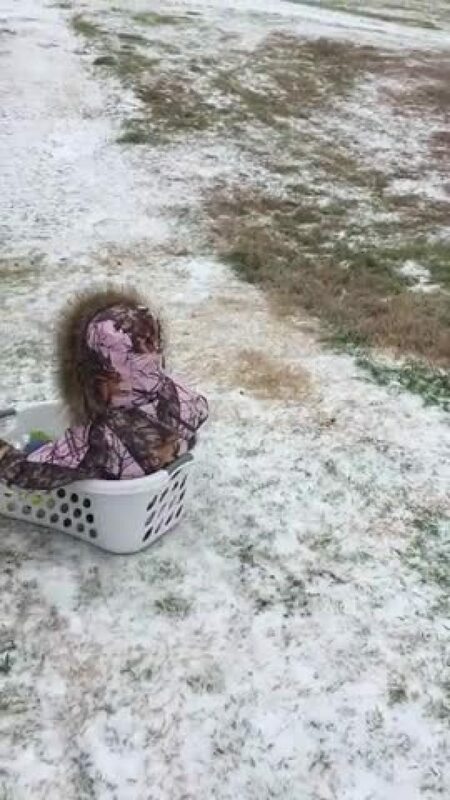 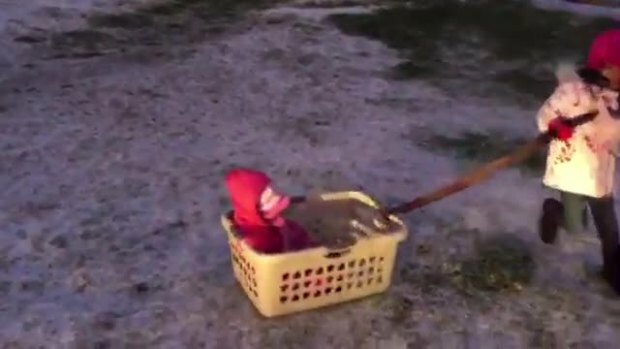 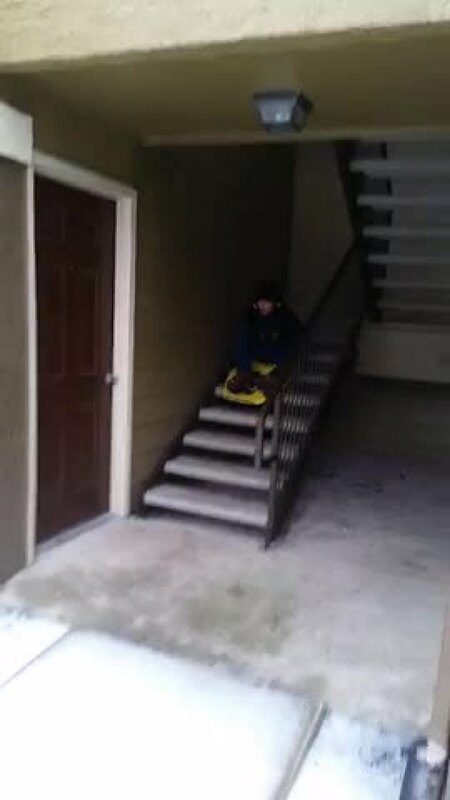 Laundry basket sledding in the icy day! 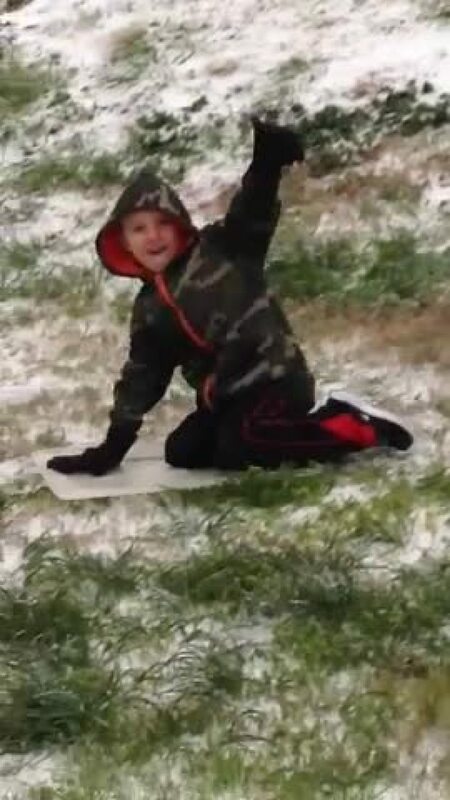 This is Wyatt Jacoby. 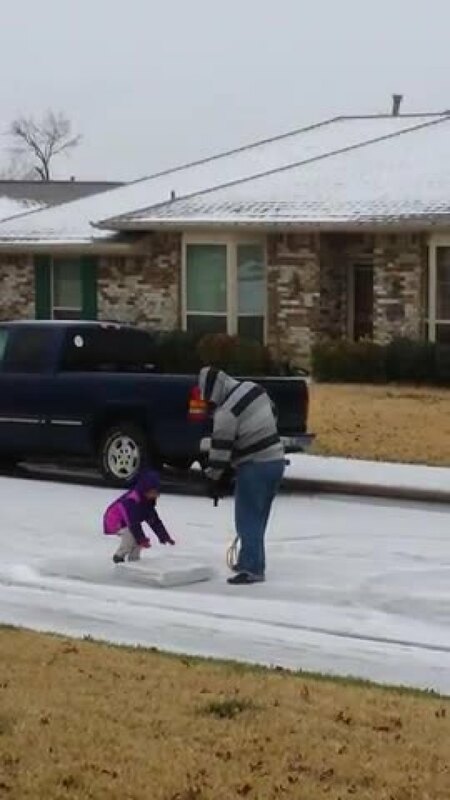 Sophie Flores (5yrs old) playing with her sister Chloe (17months old) in the ice. 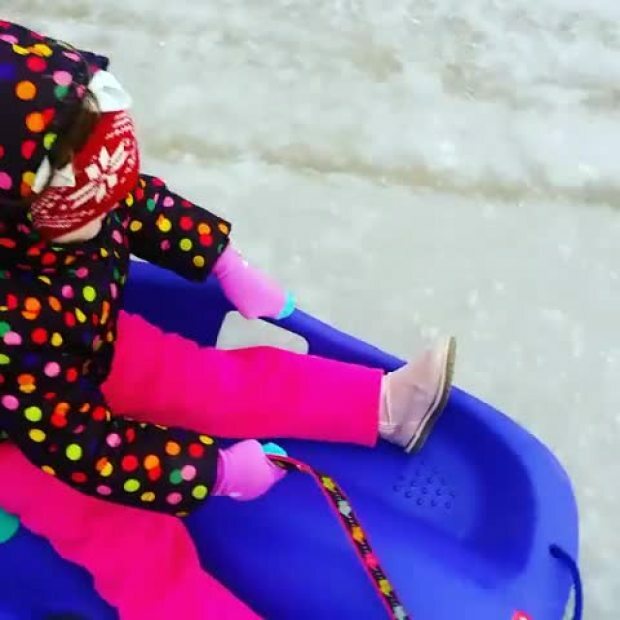 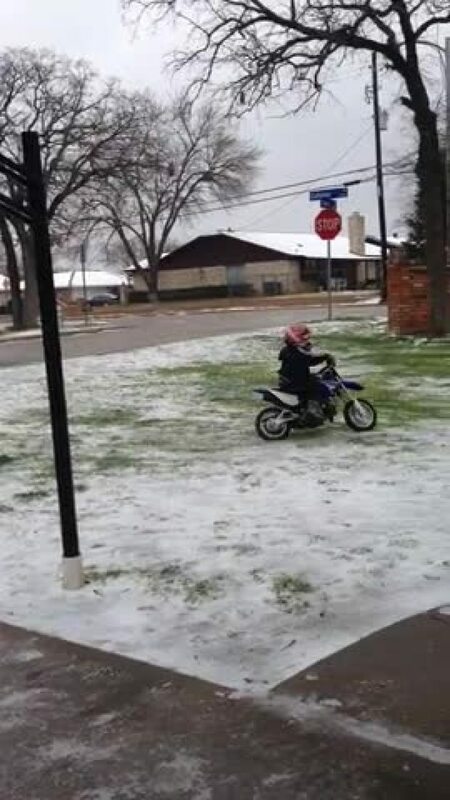 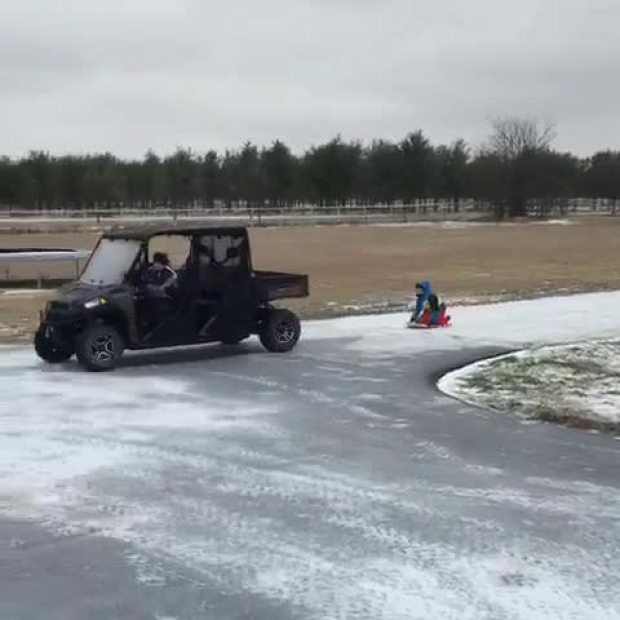 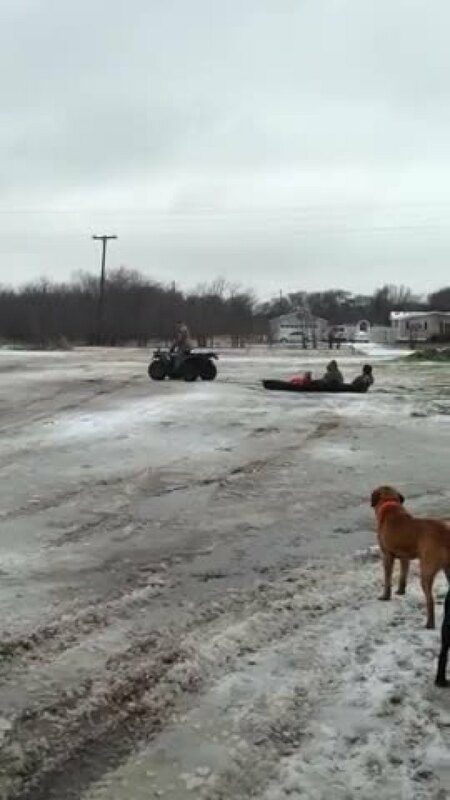 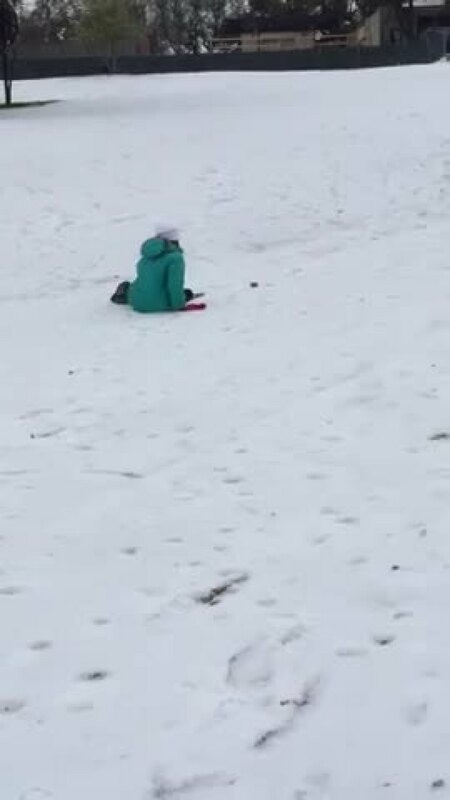 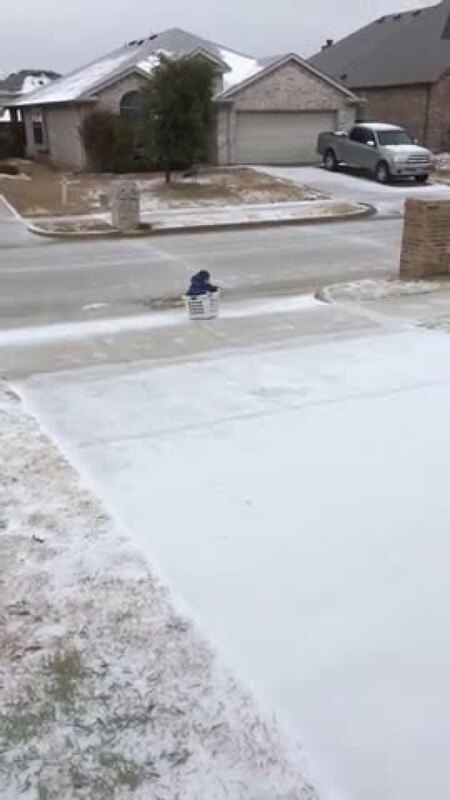 Grand Prairie Area..
Sledding in Rockwall, Feb. 23, 2015. 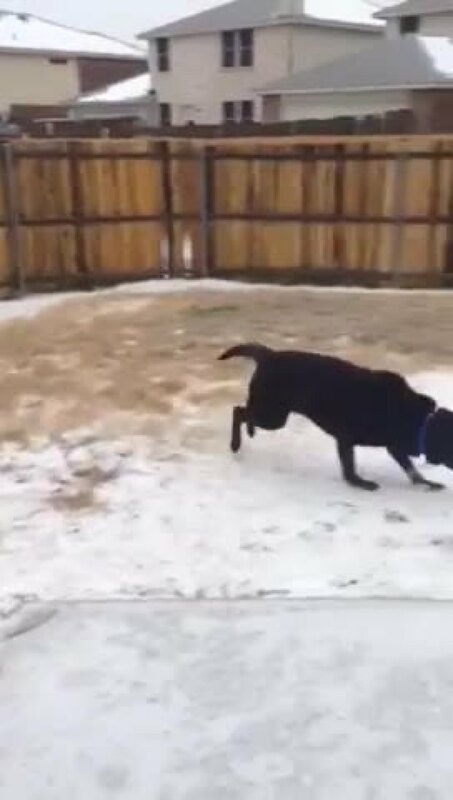 Fenway Enjoying a Snow Day! 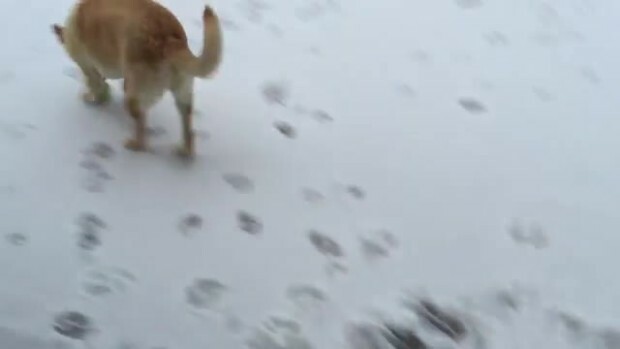 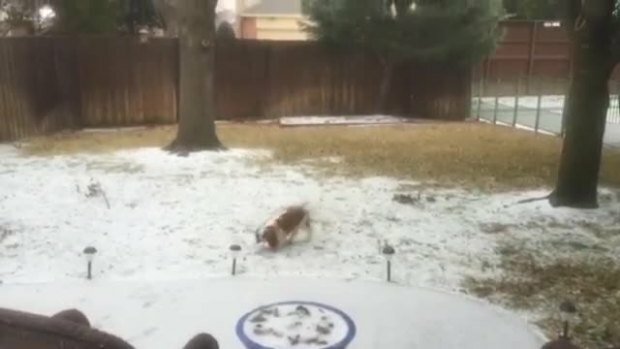 Our grand dog, Scout, playing in the sleet this morning in Willow Park. 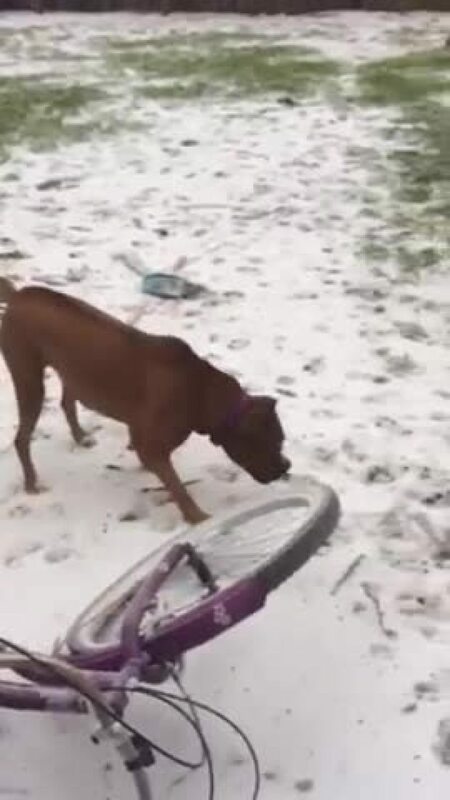 She loves it!!! 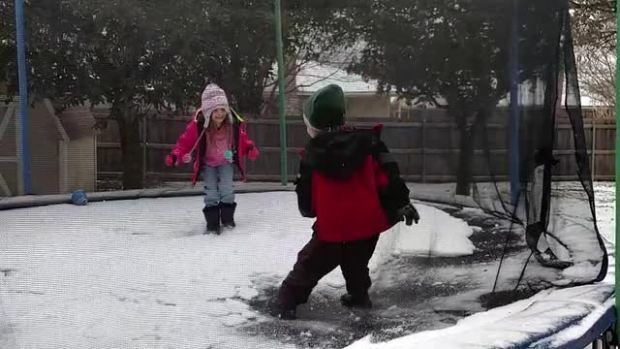 Trampoline Snow Day Fun! 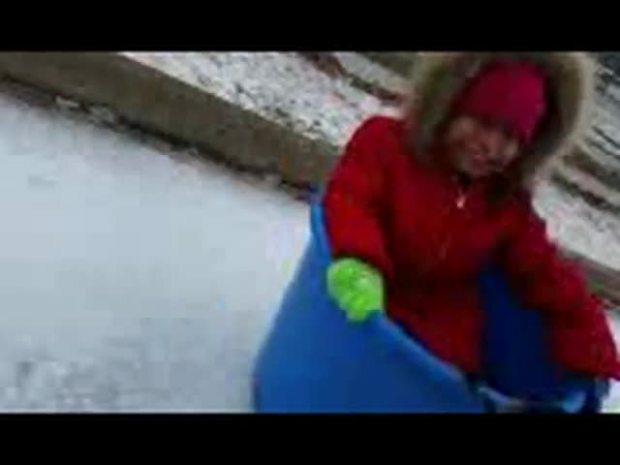 Love the Giggles. 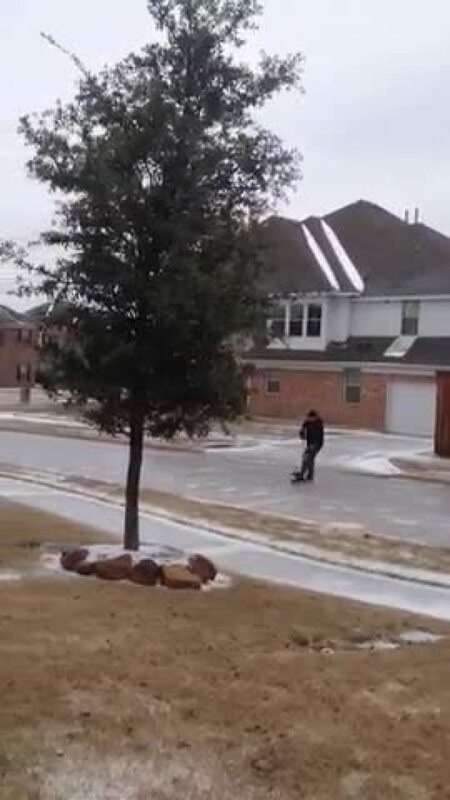 Former wvu hockey player Chris Bowen decided to take a morning skate in Frisco! 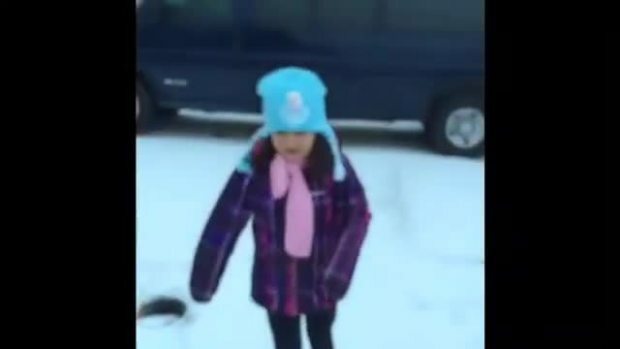 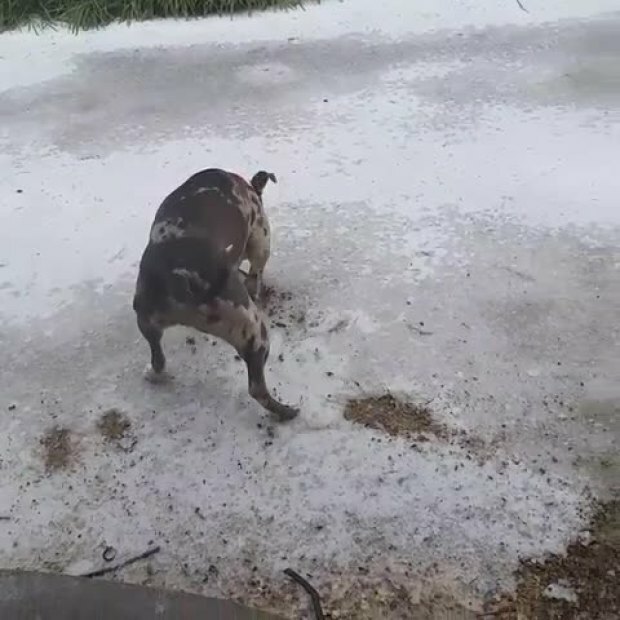 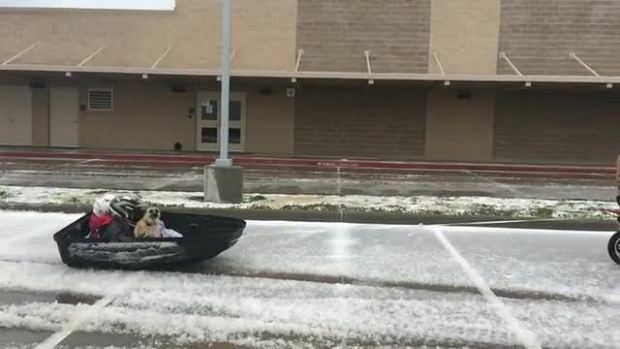 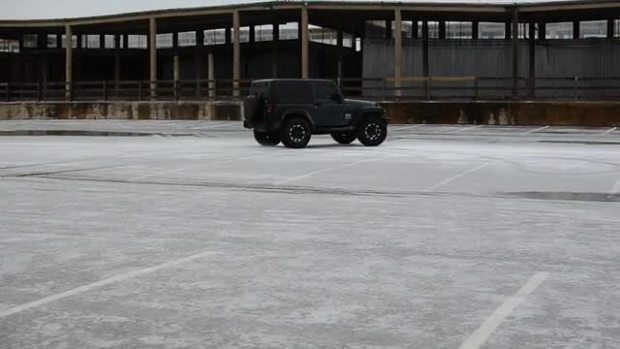 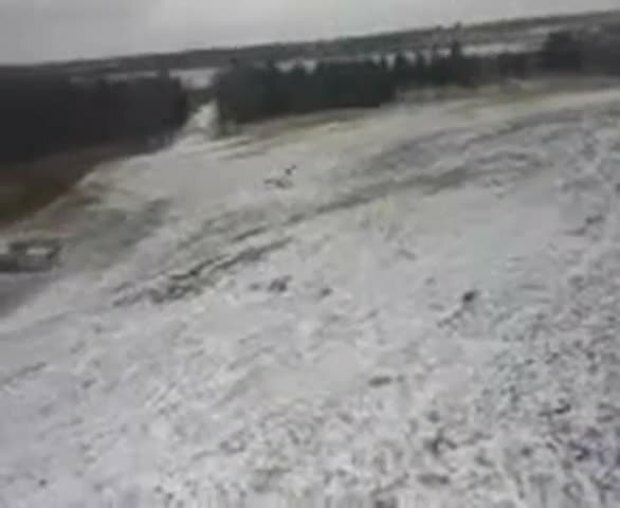 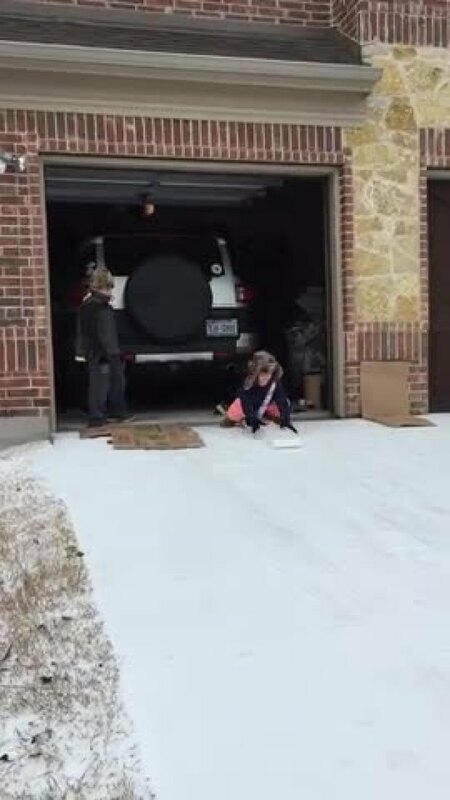 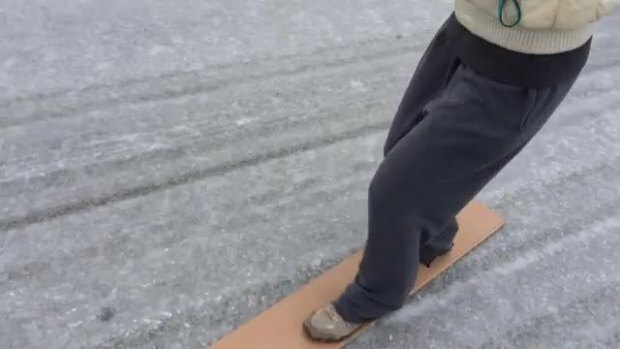 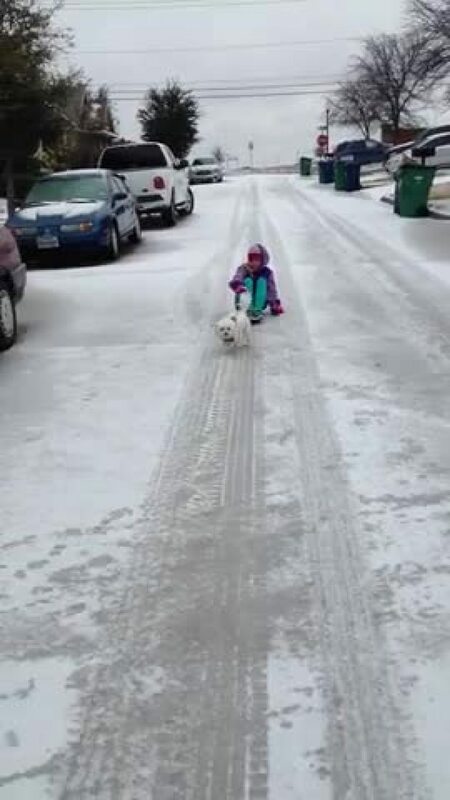 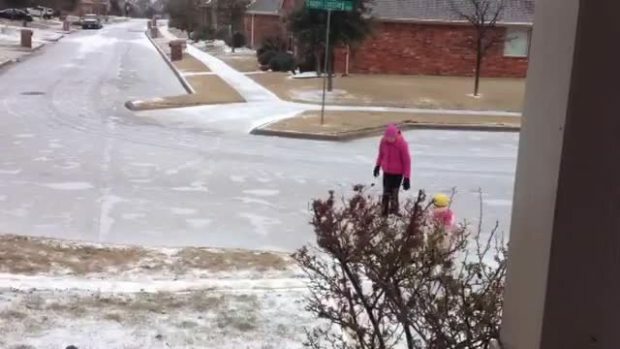 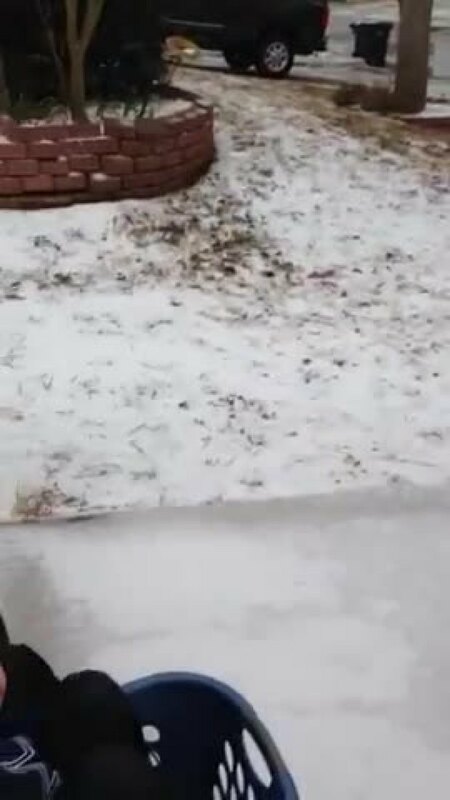 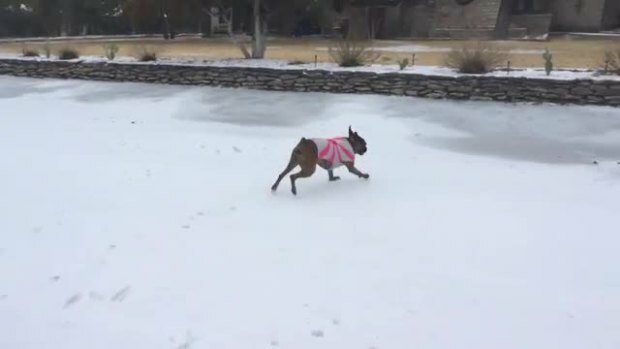 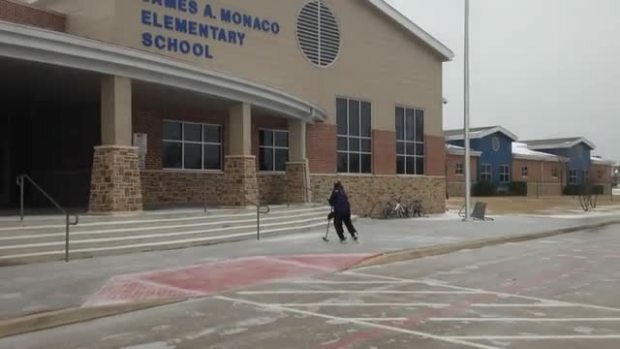 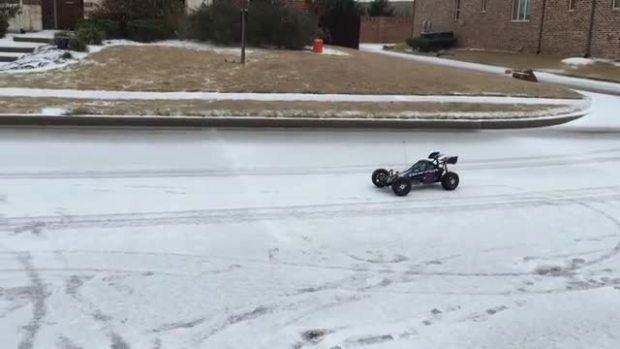 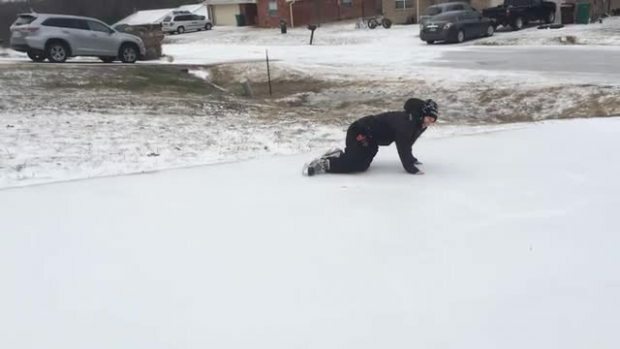 This is a video clip of Alice Smith ice skating in the street yesterday in McKinney. 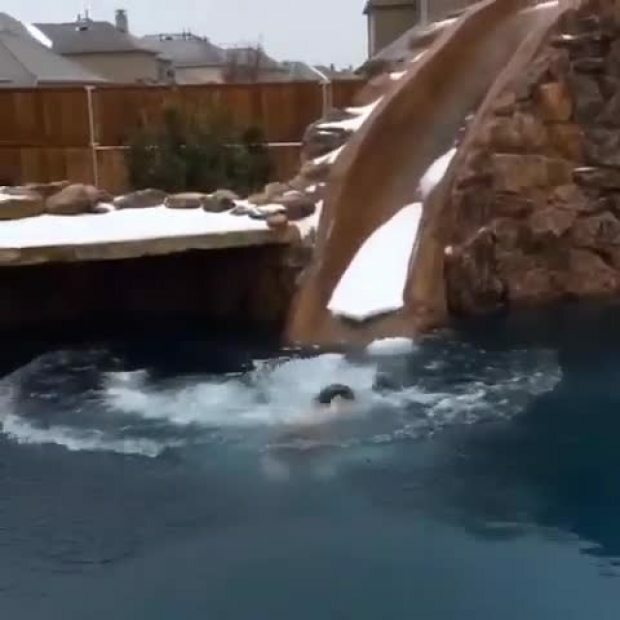 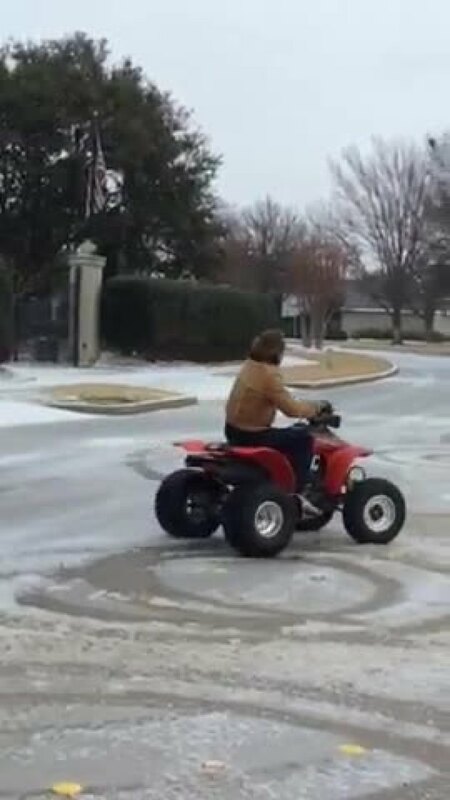 Submitted by woody smith. 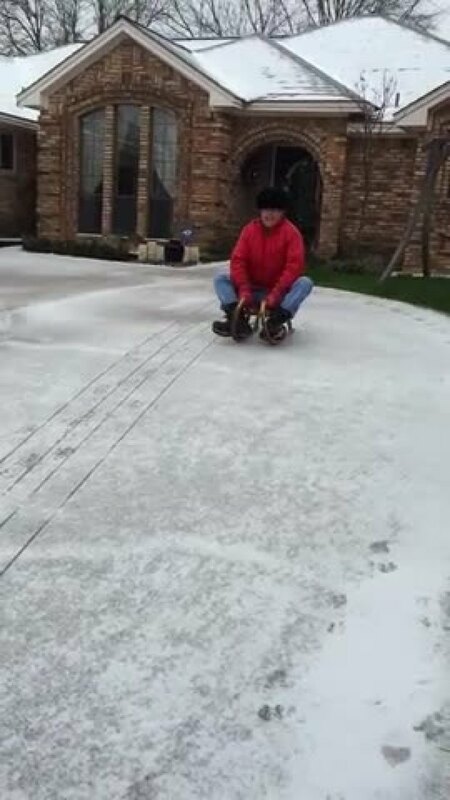 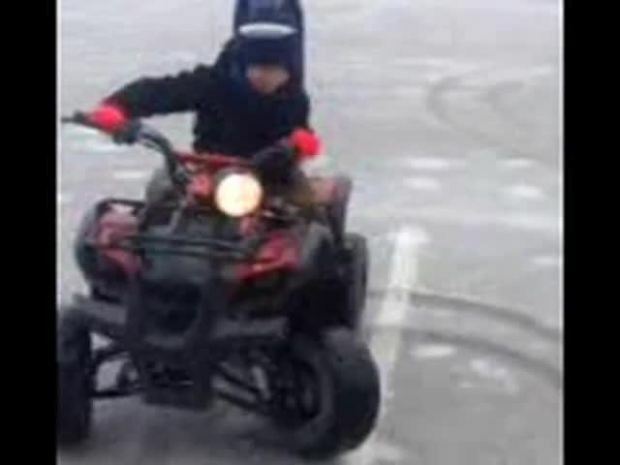 9 years old, doing donuts on the ice.